Last week was supposed to be a good week for me as I was able to get back to running. I even had to wait for the rain to stop last wednesday so that i can run. Last July 5, i was able to run 10km after a long break from running. However, (i felt bad writing this) my knees did not cooperate again. I was supposed to join the 21k group, but ended up at 16km only. 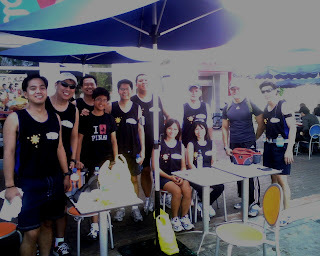 I guess the ride (51km) last saturday aggravated it (we went up to tagaytay via reverse palace route). It was good to see Vince (Val's son) to join the run as well as Egay and Cherry who were not present in the first LSD run two weeks ago. Likewise it was good to see the improvement from Ronald, Marvin, Jojo, Noemi, who have improved their distance from the last run. 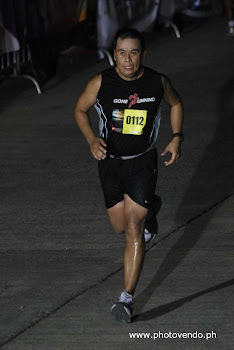 Ronald and Marvin paced each other from start to finish (Paseo-Nuvali-Westgrove-Paseo). Jojo on the other hand took a different route together with Cherry (Paseo-Nuvali-Lasalle-Paseo), but Cherry was unbelievably strong as she was miles away from Jojo (who was on his comfortable pace). 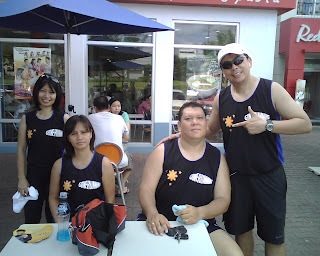 Noemi, Egay, and Vince, took the Paseo-Nuvali-Paseo route but apparently went inside the village and ran there in circles before going to the main route. Good for them as they were able to surpass the 8km distance. 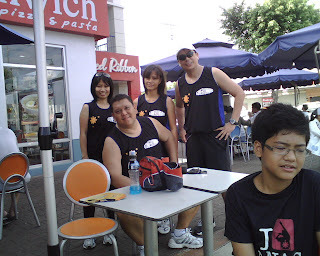 I paced myself with Jay, together with Allan, Val, and Kuya Erning (Paseo-Nuvali-Lasalle-Westgrove-Paseo). 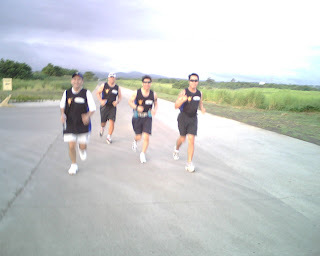 Allan and Kuya Erning were simply strong as they pulled away from the pack, I slowed down already because of my knee and let Val and Jay go ahead to maintain their pace. They started pulling away in front of Technopark and I was trailing since then. On the way back from Lasalle I saw Cherry on her way and km behind was Jojo who was enjoying his slow pace. On my way to Westgrove route, that is when i decided to stop, i waited for Marvin and Ronald who were on their way down from westgrove and joined them back to Paseo. 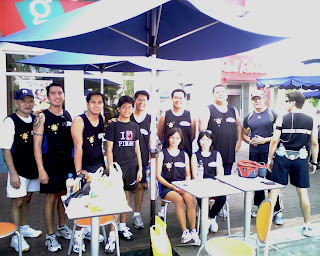 Running has definitely kept our group closer together and it improved the bond among each other. I hope in the next LSD run, more friends will join. Thanks bro, i hope i can run on sunday (Run for Home). Hope to see you there.